It has been announced that NORVOL Jazz (the Northern Voluntary Jazz promoters network) in partnership with Apollo Jazz Network run by trumpeter Kim Macari have been awarded over £32,000 by Arts Council England to set up an International Touring Network for live jazz in the North. 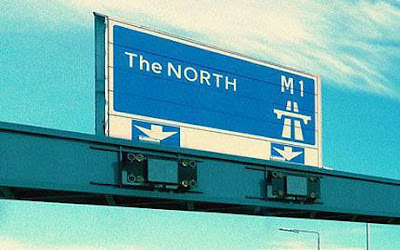 The Northern Voluntary Jazz Promoters Network (NORVOL JAZZ) in partnership with Apollo Jazz Network have been awarded over £32,000 by Arts Council England to establish a touring network for live jazz and to present three tours featuring world-class international musicians. Through the development of a touring infrastructure, northern jazz clubs clubs will host tour dates and workshops and Apollo Jazz Network, run by trumpeter Kim Macari, will manage the project. The first tour will take place in May 2016 and will feature Canadian trumpeter Ingrid Jensen. "I am delighted to receive this support from Arts Council England. It has been over a year of development and discussion for a project which is ambitious and large-scale and it’s fantastic that we are now able to roll it out. The project is going to benefit audiences, promoters and musicians in a direct way. We’ll have three featured artists from the USA collaborating with UK musicians to create new work and then touring it across the region, leading workshops and masterclasses along the way. We’re also going to be live-streaming gigs, allowing as many people as possible the opportunity to be involved. Getting a chance to see groups like this perform in more intimate venues is going to be extraordinary. This focus on collaboration – artistic collaboration as well as partnering with organisations – is what Apollo Jazz Network has always been about .